Garrett's Ministry Blog: January Update! Hello my friends and supporters! I have so much to tell you; where should I begin? This January has been such an exciting and important time in our ministry. Students have been growing, coming to find true community, finding friends, and putting their faith in Jesus. The main vehicle through which these things have come was Focus Winter Camp. All the campuses met together at Sky Ranch in Van, Texas to worship, learn, and fellowship. Geoff Mumley, a campus pastor at Western Washington University, flew in to speak about the kingdom of God and it had quite an impact on our community! Watching our students learn and think deeply about the gospel and how it relates to our world was an amazing experience. Our students have grown so much. There are more than a few students that have made some serious life changes and decisions that honor God as a result of how God worked during that weekend. But there's more! Please pray that we would be faithful with the people God sends our way. Pray also that we would handle any and all conflict, problems, differences, and relationships in a way that honors God and develops unity in the church. 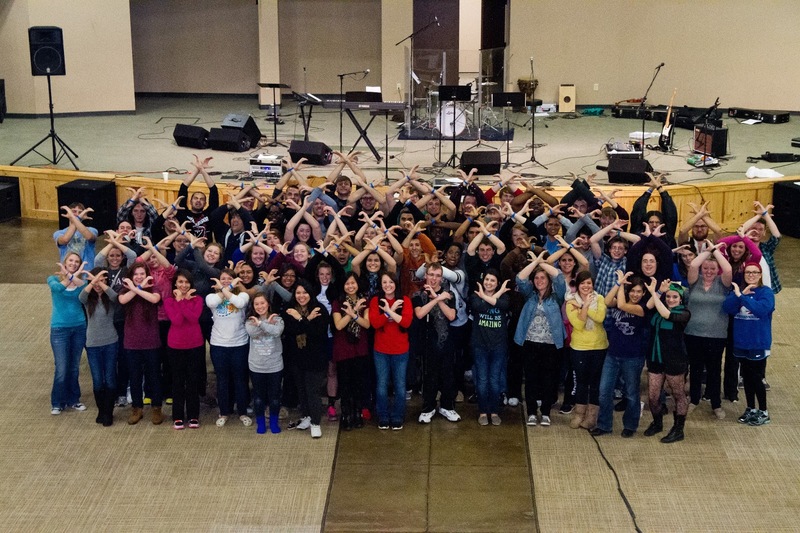 Pray that we would be radical disciples that bring the message of God's kingdom to our campus. And finally, pray that we would be only and all about Jesus individually and as a community. Collin Focus at Winter Camp!